Monthly subscription. Automatically renews every month. Digital product. Sent to subscribers the Thursday after they sign up or their subscription renews. 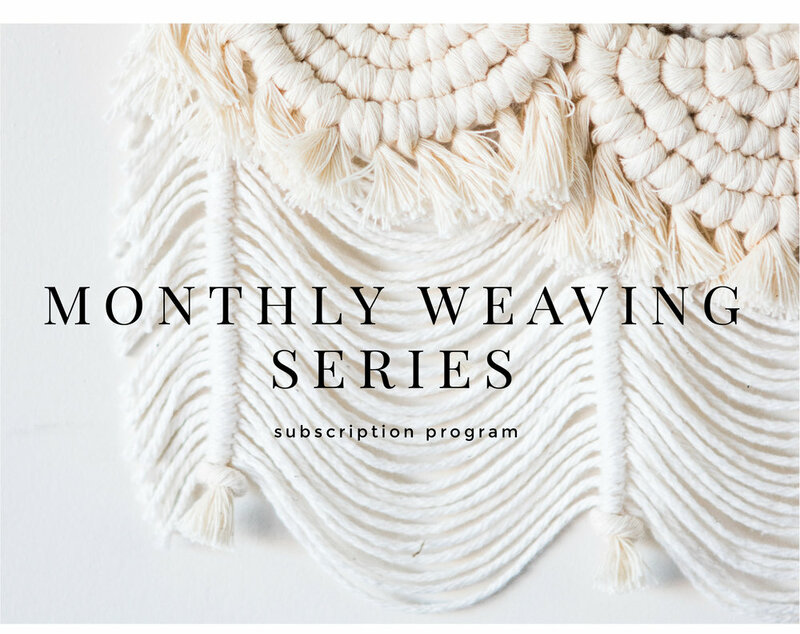 Each month I create an exclusive woven project tutorial for subscription members. These are weaving projects that are shown from start to finish so that you understand how to get into the flow of the techniques. I expand on techniques taught in my available weaving classes by showing you different ways to use them, as well as introduce new techniques. This month we will be exploring the combination of sequins and fringe. Learning three different ways to incorporate fringe and sequins together, the design of the piece can be done in many ways. You will also learn a brand new way to finish the top of your tapestry so that it appears to float on the wall. As always, the supplies can be a number of common materials you can find in your local retail craft store, or even in your own yarn stash… and I’ll be sharing my favorite sources for metal sequins in different sizes and colors. This month is going to be fun! Projects come in the form of a pdf with a supply list (although these projects are meant to be used by a number of materials you probably already have! ), instructions and a video. You will receive a new project each month. The month’s project will be emailed to you on the Thursday night (PST) after you sign up or your subscription renews (or the last day of the month), which is the same date each month, so the month that you sign up for the subscription will be the month that you begin receiving the projects. You can cancel your subscription at any time. The classes are available at a premium price, a-la-carte, when the month is over. Missed a project? Get them below. Skill level: These projects are at a beginner-intermediate skill level. You will do best if you have taken my beginning weaving class!